Win a $7000 scholarship for 2017 Yoga Teacher Training in Sydney. 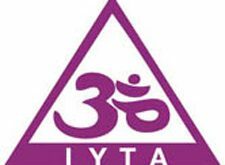 Do you dream of changing your life and how you earn your living but hardship is preventing you from joining a recognized Yoga training? Qi Health & Yoga in Sydney with partners DharmaBums Active Wear are offering a full scholarship for one student in their renowned training diploma in 2017. It covers full tuition, residential retreat and bonus yoga wardrobe all valued at over $7000. Applications close October 31. Course starts February 2017 and details and how to apply are on our web site.